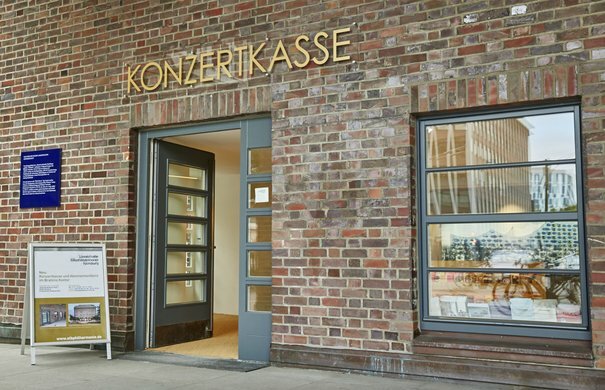 Tickets for the Elbphilharmonie Hamburg and the Laeiszhalle can be booked online or at one of our three ticket shops. Concerts at the Elbphilharmonie and at the Laeiszhalle are presented by a wide variety of promoters. Each season’s music programme (August to July) is announced to the public in the first half of each calender year – and remains ever-expanding over the course of the season. Several concerts, festival events in particular, will go on sale at a later date. The advance booking start is stated under each corresponding event. Hamburg Philharmonic State Orchestra, Konzertdirektion Dr. Rudolf Goette, Symphoniker Hamburg,Hamburgische Vereinigung von Freunden der Kammermusik: The programmes have already been announced. Apply to purchase tickets for most of the HamburgMusik and NDR concerts – from 11:00 on 29 and 26 April respectively. 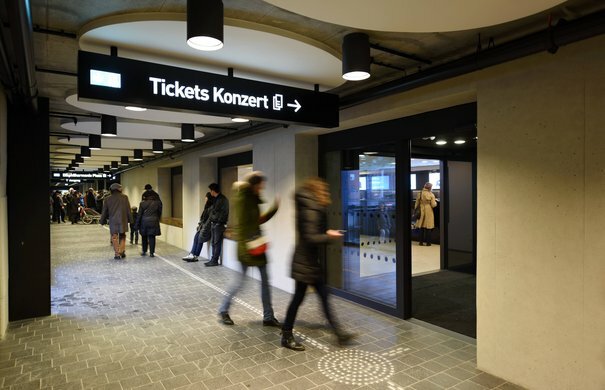 Ticket applications – for a maximum of 4 tickets per concert and a total of 20 tickets per customer – will be accepted online or in person at the Elbphilharmonie ticket shops until 17:59 on 17 May 2019. Applications will NOT be processed on a first come, first served basis. Should demand for a concert be greater than the number of seats available, tickets will be allocated at random from all applications submitted. All registered customers will be informed on the status of their application by 14 June 2019. 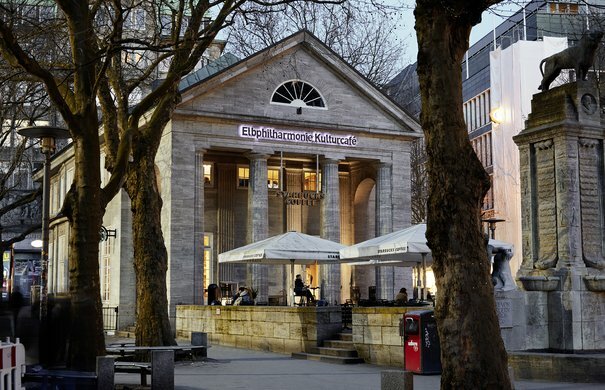 Advance booking (direct purchase) for a majority of the 2019/20 season concerts at the Elbphilharmonie and Laeiszhalle begins on 20 June 2019. From 10:00 at all authorised ticket shops in Hamburg and from 18:00 online. Take careful note of event venues in the concert calender. Not all events take place at the Elbphilharmonie. Events at the Elbphilharmonie are indicated with the venue name »Elbphilharmonie Hamburg«. 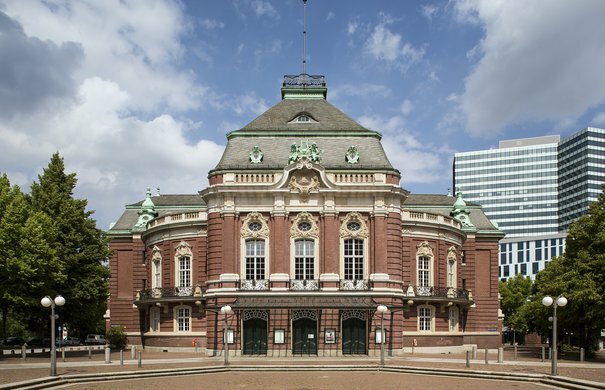 The Laeiszhalle is a separate concert hall located three kilometres away from the Elbphilharmonie. Some internet platforms are advertising tickets for sold-out events at the Elbphilharmonie. In fact, these are private sellers, who partly offer tickets from dubious sources and for highly inflated prices. 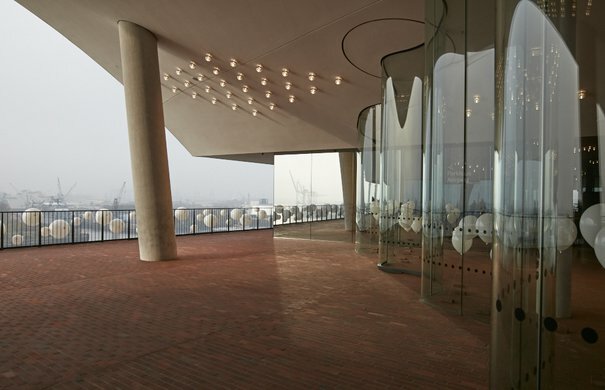 We recommend that you purchase tickets only from official ticket shops, online at www.elbphilharmonie.com, or on official online platforms of external promoters to which you will be forwarded to from our website, www.elbphilharmonie.com. No events or guided tours will take place at the Elbphilharmonie between 8 July and 4 August 2019 or at the Laeiszhalle between 1 July and 12 September 2019. Plaza and ticket shops remain open to the public during this time. The complete programme of the 2019/20 season will be announced on 29 April. Click, order, print or save paper by downloading booked tickets onto your smartphone. Booking tickets online is quick and easy: just click the ticket button on each event page under »What’s On«. Here you can also find up-to-date programme information. Book tickets over the telephone by calling us on +49 40 357 666 66. Our ticket hotline is open daily, 10:00-20:00, and from 15:00-20:00 on public holidays. Payment is possible via PayPal, SOFORT Online Bank Transfer, Amazon Pay or with credit card (MasterCard or VISA). Protect your ticket purchase with insurance coverage from HanseMerkur. The insurance covers the cost of a ticket if you cannot attend an event – for example, due to illness or an injury. Add HanseMerkur insurance coverage to your shopping basket during the payment process. Book your subscription from the comfort of your home at www.elbphilharmonie.de/en/series. All concert halls at the Elbphilharmonie and Laeiszhalle offer seating for wheelchair users. You can select wheelchair spaces when booking by phone or in person at our ticket shops, subject to availability. We currently do not offer the possibilty to book a wheelchair space or companion seat online. 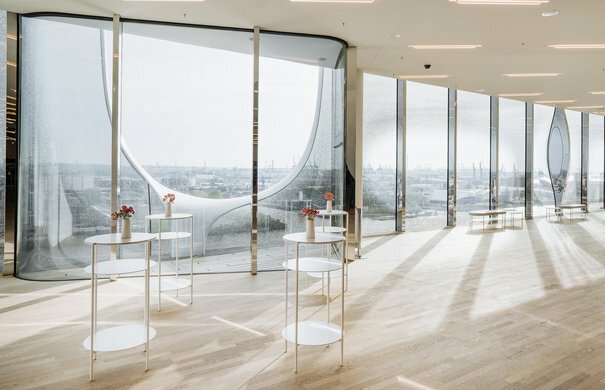 Take a peek in the Grand and Recital Halls of the Elbphilharmonie: using the 360° viewer, you can select your seat from five different price categories. A preview shows the representative view of the stage from your seat. Plaza tickets are available in the form of both single and group tickets. Families, schools and kindergartens can pick up tickets free of charge in person for a same-day visit. The following discounts and concessions apply to events promoted by the Elbphilharmonie (HamburgMusik gGmbH). Please note that different reductions may apply to concerts held in cooperation with other promoters. Severely disabled persons: 15% discount, accompanying person must pay full price. If, however, your disability pass is marked with a »B«, the accompanying person is admitted for free. Other discounts may apply when purchasing a subscription. Complimentary tickets for accompanying persons are available by phone at +49 40 357 666 66 or in person at our ticket offices only. Unemployed persons (ALG I, SGB II) and benefit recipients according to the SGB XII and Asylum Seekers’ Benefit Act: €10.00 tickets can be purchased in person at the box office upon presentation of proof of eligibility (e.g. Hamburger Sozialkarte). You enjoy attending concerts but are unable to commit to every date in a concert series? 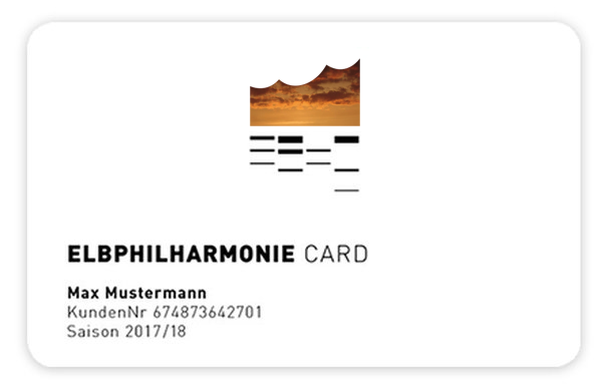 The Elbphilharmonie Card is the perfect alternative. 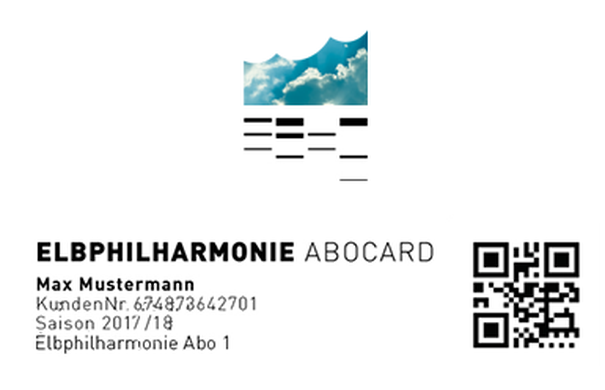 The Elbphilharmonie Card can be ordered by email at tickets@elbphilharmonie.de, by phone at +49 40 357 666 66 or in person at the Brahms Kontor Ticket Shop, the Elbphilharmonie Ticket Shop or the Elbphilharmonie Kulturcafé. The Elbphilharmonie is caught red-handed! With REDticket, all concertgoers aged 27 and under receive preferential treatment: for only €10.00, the best available seats in the Elbphilharmonie and Laeiszhalle can be booked from one week before the concert. NDR Kultur fosters more than 140 cultural partnerships across northern Germany. As a NDR Kultur Karte holder you profit from this unique network. On presentation of your NDR Kultur Karte you recieve 10% discount off all NDR Elbphilharmonie Orchestra concerts, concerts in the NDR Das Alte Werk and the NDR das neue werk series, as well as concerts by many promoters in the Elbphilharmonie and the Laeiszhalle. Group bookings can be requested by email with the corresponding concert promoter. HamburgMusik, NDR, Symphoniker Hamburg, Ensemble Resonanz and Hamburgische Vereinigung von Freunden der Kammermusik: enquiries (for 5-20 tickets) can be sent by email to gruppen@elbphilharmonie.de by 10 May 2019. All interested parties will be informed on the status of their enquiry by 7 June 2019. Group bookings for events promoted by Karsten Jahnke Konzertdirektion are not currently being accepted. From classical music soirées and rock concerts to theatre visits and comedy galas – the choices are endless. Gift vouchers for cultural events at the Elbphilharmonie, the Laeiszhalle and many other locations in Hamburg are available to buy online or in person at the Elbphilharmonie ticket shops. 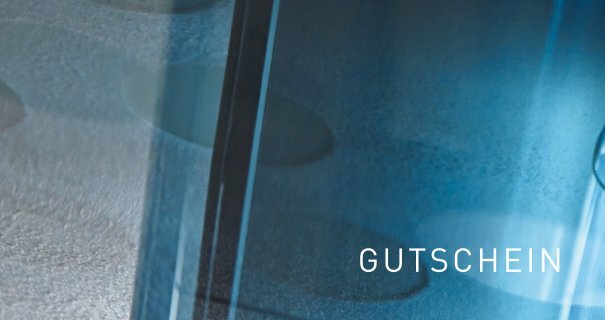 Online: gift vouchers can be used to purchase concert and event tickets sold through the Elbphilharmonie’s online shop (not at eventim.de, for example). 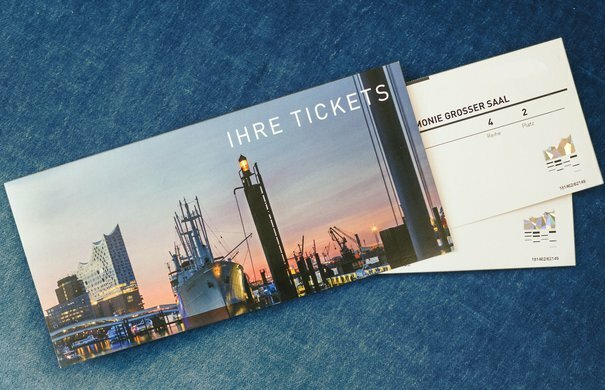 In person: gift vouchers can also be redeemed in person at the Elbphilharmonie ticket shop, the ticket shop in Brahms Kontor or at the Elbphilharmonie Kulturcafé. Plaza and guided tours: gift vouchers can also be used for Plaza tickets and guided tours through the Elbphilharmonie. Not for food and drink: gift vouchers are not redeemable for food and drink. Please contact Störtebeker at restaurant@stoertebeker-eph.com to purchase food and drink gift vouchers. Find out about our ticketing policies with regards to purchasing tickets, our ticket raffles, how to transfer tickets to third parties, our payment policy and much more – the Elbphilharmonie and Laeiszhalle’s Terms and Conditions of Sale.